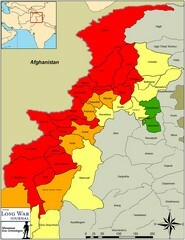 Maps produced for The Long War Journal show the extent of the Taliban’s influence and control in northwestern Pakistan. Only the first map, shown in this article, contains a legend explaining what the colours represent; subsequent maps that show the Taliban’s rapid advance towards Islamabad in this article lack that legend. The maps, which were produced 10 days apart (April 14 and 24 — this says something about how fast the situation is developing) are by Bill Raymond. Thanks to Andy Anderson for the links. 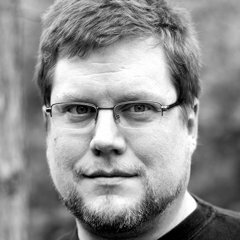 Update, April 27: Long War Journal editor Bill Roggio reports that they’ve added the legend to the two subsequent maps.